Castle Vardulon: The Eleventh Hour has a distracting opening credits sequence. The Eleventh Hour has a distracting opening credits sequence. By all appearances, The Eleventh Hour is a pretty generic ‘gimmick crime solving’ show, the twist being that instead of using bones or psychology to solve crimes, the main character, one doctor Hood, knows about science. And he uses that scientific knowledge to battle modern science-criminals in suprprisingly dumb cases, considering it’s a show about a genius using science. 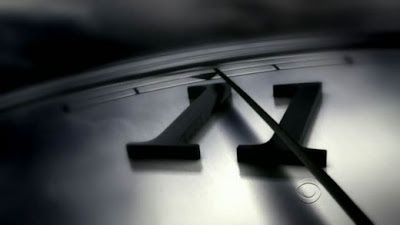 The show is called the Eleventh Hour, but the image is clearly of a second hand floating over an eleven. I feel like the guy who called Walter Cronkite to complain about Sdailing for Dollars. Avod Friday! The Disturbing List! Avod Sunday! The Watchmen edition! I’m not ready to talk about Watchmen yet.